Reynolds, one of the biggest fruit and vegetable suppliers in the UK, has taken delivery of two new specialist vehicles for operation inside London’s new Ultra-Low Emissions Zone (ULEZ). 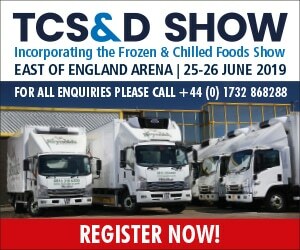 Both vehicles feature Carrier Transicold refrigeration technology and have been supplied by SHB Hire. Carrier Transicold is a part of Carrier, a leading global provider of innovative heating, ventilating and air conditioning (HVAC), refrigeration, fire, security and building automation technologies. 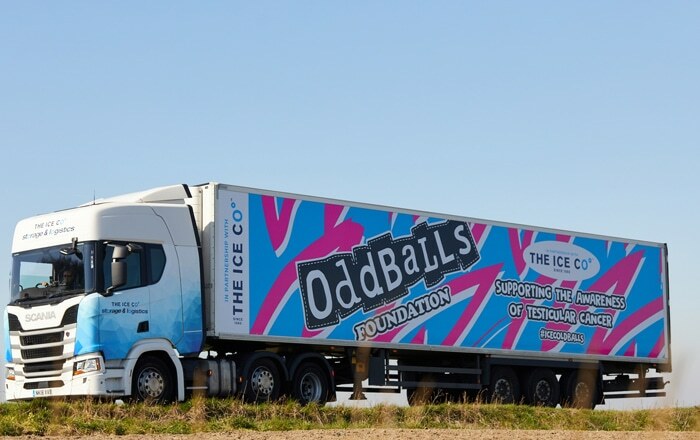 The new additions include a 26-tonne IVECO Stralis, with a body from Paneltex, mounted with a Carrier Transicold ICELAND 18 TWINCOOL refrigeration unit. A former demonstrator vehicle, it becomes the company’s first engineless refrigeration system in its truck fleet. 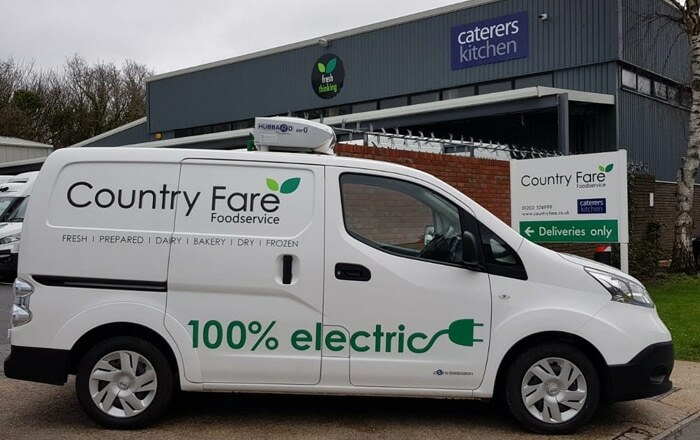 It is joined by an all-electric Renault Kangoo van, fitted with Carrier Transicold’s ultra-slim NEOS™ 100, which also runs on electrical power, and converted by CoolKit. Together, the two systems directly support Reynolds’ plans to lower its commercial vehicle fleet emissions. “95% of our fleet is Carrier-cooled, so when we set out to explore new ways of cutting our emissions, we naturally put our faith in Carrier’s latest technologies,” said Steve White, head of fleet support, Reynolds. The undermount ICELAND TWINCOOL unit joins a truck and trailer fleet cooled by a range of existing Carrier Transicold products, including the proven Vector®, Supra® and Xarios™ ranges. 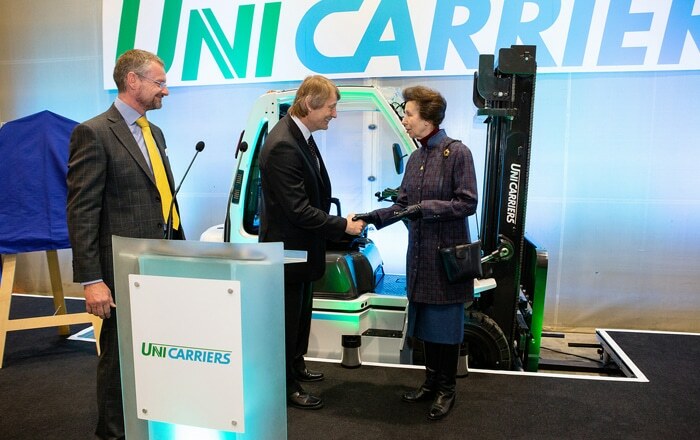 It becomes the first system in the fleet to be driven by Carrier Transicold’s ECO-DRIVETM power module, which runs on hydro-electric power generated by the trucks’ ultra-clean Euro VI engine. Because it runs on the hydro-electric power generated by the engine, there is no need for a separate diesel engine, helping to cut emissions and improve fuel efficiency. 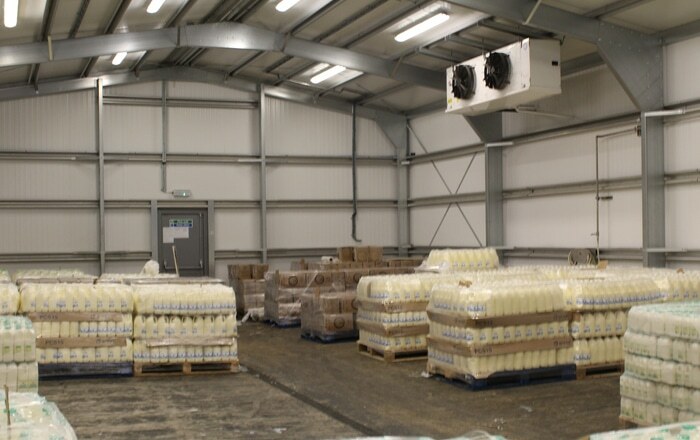 The ICELAND stands out for its ability to supply 100% refrigeration capacity even at the truck engine’s idle speed, while keeping sound levels below 60 dB(A) for PIEK-compliance – a combination which makes it ideally suited to the intensive, multi-drop delivery routes Reynolds operates in London. The all-electric Kangoo van features Carrier Transicold’s roof-mounted, 12-volt NEOS 100 system designed to run entirely on electric power from the vehicle’s alternator. However, because an electric Kangoo does not use an alternator, an autonomous power source was supplied by conversion specialist CoolKit. The NEOS’ monoblock construction makes it simple to maintain, coming pre-charged from the factory with less than 1kg of refrigerant R134a. Its design avoids the need for assembly in the field or the use of open road compressors, which can both increase the risk of gas leakage in operation. Operating out of Reynolds’ depot in Waltham Cross, both vehicles will deliver fresh fruit and vegetables on multi-drop routes across central London, in operation up to 24 hours a day, seven days a week. 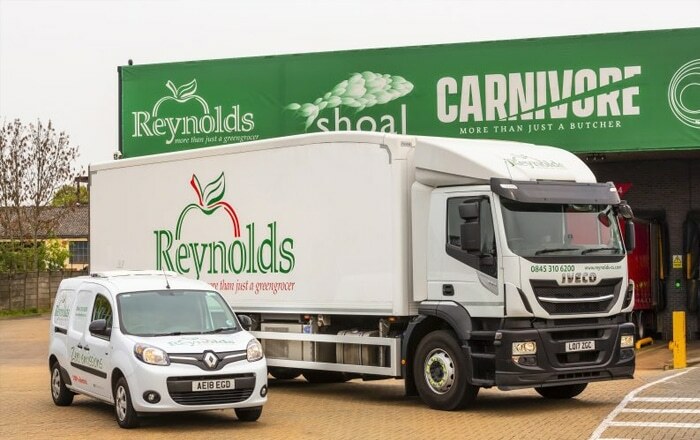 Reynolds was established in 1945 and is a family-owned business with a 250-strong commercial vehicle fleet which it uses to supply the UK food service and catering industry. Previous : National Infrastructure Commission Freight Report Lacks Vision.